Finding the perfect boots can be a chore, particularly for small feet. Have you come across shoes made by the Spanish company Billowy? They are beautiful and extremely durable; built to support growing feet and to fit like a dream. 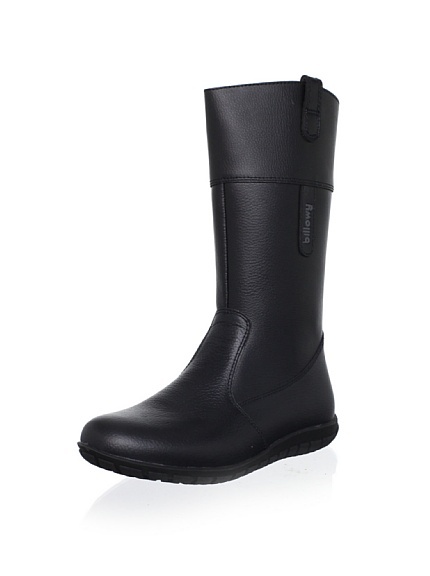 The black Billowy classic tall boot is available in European sizes 25-33 and is marked down from $116 to $49 at MyHabit.com (owned by Amazon), where shipping is always free. See other Billowy styles on sale at MyHabit here. Just lovely. These are adorable. I think, however, that MyHabit is owned by Amazon, not Nordstrom. Your Amazon login gets you in and it's linked to all of your other account info there. So right you are!!! I should never write posts late, late at night. Thanks so much for the correction (I just changed it in the post). Happy New Year to you and yours!